Control your family room with your iPad. Thank you for visiting us on the web! 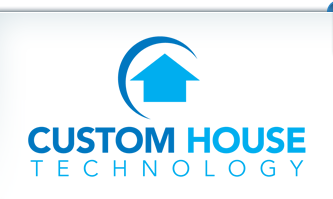 Based in Charlotte, NC, Custom House Technology is North and South Carolina’s premiere home electronics company. For many years we have been helping our clients get the most out of every dollar they spend for home theater entertainment, security and home control. We are not flashy…we don’t advertise in slick, glossy magazines and we certainly don’t spend time trying to win awards and impress other people in our industry. Instead, we focus all of our resources on you. We know you have many places to shop for home electronics and security, and we never take you for granted. Every business needs a little more control. Automate your lights, temperature, audio/video and energy systems. Lighting alone can account for 20% or more of your home’s yearly energy bill. Crime is up, energy cost is up and there's that peace of mind knowing you can check on the kids away while you're at work or on the road.